Do you have an eye for style? Asia Tech News For The World by Steven Millward. China has yet another brand-specialist luxury e-commerce site, with the launch of the ‘High Street’ site at GaoJie.com today. It brings brands such as Coach, Guess, and Miss Sixty to Chinese online consumers, with lots of other licensed partners on board to provide plenty of high-end fashion options. The company behind GaoJie belongs to Li Yun, the former VP of Yoka, the fashion portal that is well known in the country as an MSN-China partner. Mr Li told the Chinese tech site DoNewstoday that the site was now ready to go live after a month of trial running. The website also reports that GaoJie is in talks about funding with some unspecified VC funds. GaoJie is coming slightly late to the high-end party, a full month after one of China’s biggest web portals, Sina, launched its own brand-oriented e-commerce site. 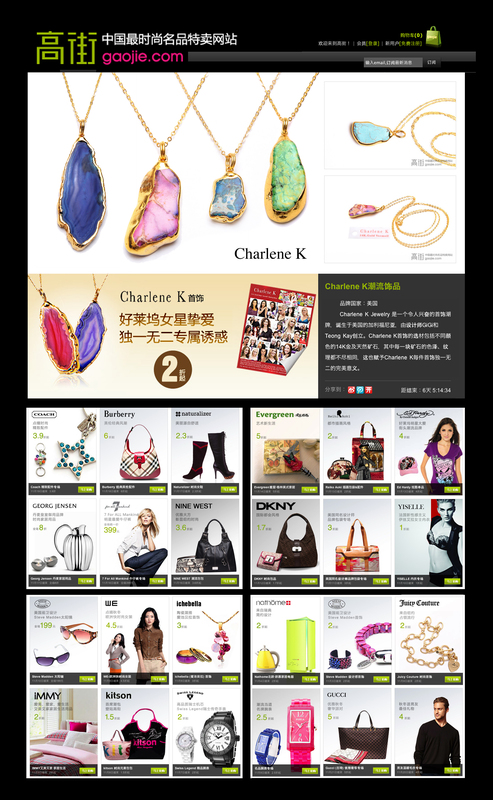 There are other small, indie competitors in this space as well, such as the Chinese luxury e-tailer IHaveU.com. The site is apparently named after the UK concept of the high street as the place for a large variety of clothing options. Just two days ago we took a closer look at digital engagement amongst some of the world’s biggest luxury brands, and saw that an astonishing 56 percent of Chinese luxury purchases are made abroad. That makes the challenge even greater for a brand-focused e-commerce firm in China, behind slapped with some prohibitive import taxes. New Arrivals – Where to buy? – Prints & Media – Who’s wearing it?